1. Which CECL model(s) are right for my FI? 2. Which models most accurately assess credit risk? 3. What additional capabilities should I seek in a CECL solution that address common challenges? In the remainder of this blog I will provide some thought and perspective to these questions. Which model is right for your FI? Complexity of balance sheet (aka portfolio concentration/mix). Organizations that are larger (over $500MM and subject to FDICIA requirements), those with complex balance sheets, and those with higher historical credit losses will likely be required to have more robust models on their adoption date. However, over time I expect regulators and accountants to push for more robust models for even smaller organizations with low credit loss history. In our highly regulated industry, I can understand the temptation to set the “internal” bar low and strive to simply achieve compliance. 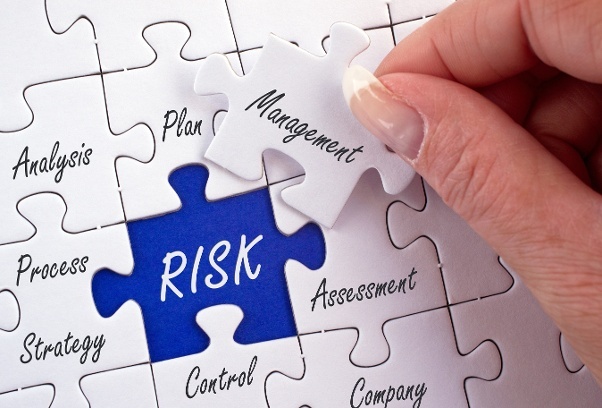 However … credit risk is the largest risk facing FIs today and having strong models and credit risk management processes (including early warning signs of credit concerns) is essential in running an FI today. Regardless of your CECL modeling decision, there is going to be a significant cost, effort, and impact on your financials (and operations) associated with CECL. Given that, I would encourage you to strive to find a solution that will accurately assess your credit risk! Which models most accurately assess credit risk? In a recent CECL study,(1) several models were compared (using the same data) to determine how effective they were at assessing risk during the turbulent ”great recession.” As you can see in the chart below, some models were significantly more effective than others. This qualitative assessment is critical as you select your model. Finding a model that accurately predicts credit risk is the true goal of CECL! Read the full study to learn more as you assess the effectiveness of various models. What additional capabilities should I seek in a CECL solution that address common challenges? At a recent FDIC webinar attended by over 6,000, the FDIC outlined a series of challenges in CECL modeling. As you select your CECL solution, you should also consider how the solution will address these challenges. Shared data pool (Challenges 1 – 4) – A shared data pool with a substantial balance and more than a dozen years’ worth of history is optimal. 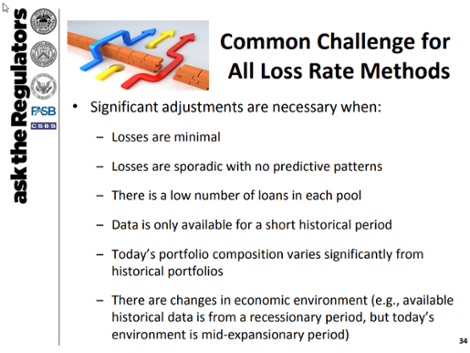 A shared data pool (which is encouraged by FASB) will help address the challenges of minimal/sporadic loss history, low number of loans in a pool, and a historically short period of time. The power of the shared pool and model calibration for your loss history allows you to get a more accurate CECL forecast. Account level Detail (Challenge 5) – Monthly data extracts of account level data will allow you to identify the changing risk in your portfolios. You will know how much your reserves are impacted by credit improvement (or declines) in your portfolio based on this account-level data compared to prior periods. Changing Economic Conditions (Challenge 6) – A quarterly forecast from the Federal Reserve Bank that is “regionalized” for your state and automatically fed into your solution will allow you to understand how your FI’s reserves change based on changing economic conditions. The CECL clock is ticking, and while everyone is challenged to determine the right CECL model(s) and partner, I would encourage you to start thinking now about which model(s) and provider will best help you assess and manage the changing credit risk at your FI.